Root canal treatment is a highly misunderstood dental procedure. Many consider it to be the most dreaded treatment. People tremble whenever they hear the phrase “root canal” due to its close association with pain, anxiety, and fear. This negative connotation has prohibited patients who need root canal therapy from experiencing the tremendous benefits of the procedure. These faulty assumptions about root canal treatment are merely based on circulating hearsay and erroneous information. With the aim of changing these false impressions, here are five corrections of the most common misconceptions about Melbourne root canal treatment. In itself, Melbourne root canal treatment is not painful at all. The procedure being linked to pain maybe due to obsolete techniques which are not being used anymore. With the latest advances in techniques and equipment used in dental procedures, root canal treatment is much more soothing than it was long ago. In fact, people who have undergone Melbourne root canal treatment are more likely to describe the entire procedure as painless than people who have not been exposed to the treatment. At Simply Smiles Dental, we make sure that you are comfortable throughout the root canal therapy. 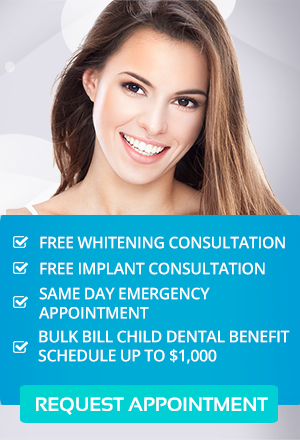 The process involves only one to three visits to our dental clinic. During the first visit, an opening is made to remove the infected tooth pulp. The pulp chamber and canals are then cleaned and medicated to prevent infection. For more protection, a temporary filling is placed until your next visit. After a week or so, the temporary filling is removed. The pulp chamber and root canals will be cleaned and then filled. We recommend that a dental crown be placed over the treated tooth for added strength and sturdiness. Our Melbourne root canal treatment is fast and convenient, yet still very effective. Bacteria are always present in the mouth and teeth. People think that bacteria will get trapped because of root canal treatment and will cause further diseases such as arthritis, heart disease, kidney disease, and many others. This is very inaccurate. The procedure is very safe. The medication used in Melbourne root canal treatment is potent enough to prevent propagation of bacteria. Also, the pulp chamber and root canals are thoroughly cleaned before the filling is placed. These steps ensure that the tooth being treated is free from any form of infection which may lead to other diseases. Our Melbourne root canal treatment has a very high success rate. It immediately alleviates the pain brought about by the tooth pulp infection. In order to make sure that the effects last long, we combine root canal treatment with tooth restoration techniques such as placing a dental crown over the treated tooth. This makes the tooth more stable and more durable. After the whole process, you need not worry about toothaches and fractures. Then again, it is vital that you observe proper oral hygiene and attend regular checkups at our clinic. If possible, it is way better to keep your natural tooth. It is more favorable to keep your natural set of teeth intact. Melbourne root canal treatment can help you save your tooth. There are a lot of tooth restoration options available today. However, they all have their own set of pros and cons. So before you think of getting your infected tooth pulled out, we suggest that you think of saving and keeping it first. Make our Melbourne root canal treatment your top option.